The official beta version of Android 9.0 Pie in China is reportedly being received by OnePlus 3 T and OnePlus 3. A few days after OnePlus formally launched the beta registration for the Android Pie update for both phones, the new development emerges. Apparently the new update will bring HydrogenOS 9.0 on top of Android 9 Pie. Including all the core features of Android Pie, including Adaptive Battery and gesture navigation support, is also found. Notably, with OxygenOS globally, the OnePlus 3 and OnePlus 3 T are currently running on Android 8.0. Where the Android Pie beta will be released for the OnePlus 3 and OnePlus 3 T international units is unclear. 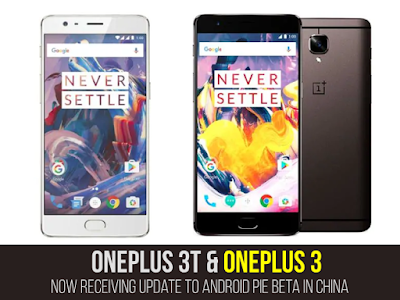 As seen by The Android Soul, for their OnePlus 3 T and OnePlus 3, users on the OnePlus Chinese forum reported the arrival of the official Android Pie beta update. The change log specified on the forum posts also shows that the new beta update brings along with the new version of HydrogenOS all the major features of Android Pie. 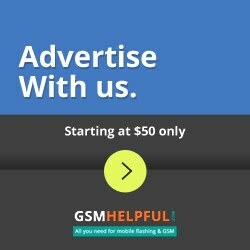 User-posted screenshots reveal that the update to Android Pie brings the navigation gesture system. Since HydrogenOS, similar to OxygenOS, does not have many customizations on top of Android stock, the interface front over Android Pie vanilla appears to have no noticeable changes. As we mentioned last week, OnePlus started to register for the closed beta update for the OnePlus 3 T and OnePlus 3 for the Android Pie-based OxygenOS. The company also reportedly started testing for the OnePlus 3 T and OnePlus 3 users earlier this month with an Android Pie update with HydrogenOS. OnePlus for the OnePlus 3 T and OnePlus 3 has not yet confirmed any concrete Android Pie rollout schedule. However, the stable Android Pie update along with a new version of OxygenOS is likely to debut globally soon, taking into account the ongoing developments. Last year, Android 8.1 Oreo skipped the OnePlus 3 T and OnePlus 3. But for both smartphones launched back in 2016, OnePlus confirmed the release of Android Pie.